No doubt, you enjoyed the spectacular fireworks in Victoria Harbour to celebrate 62 years since the founding of the People's Republic of China（中華人民共和國成立六十二周年煙花匯演). 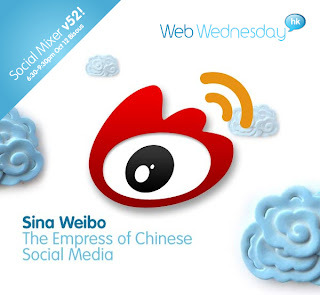 Now come celebrate the 2nd birthday of Sina Weibo (新浪微博), China's rapidly ascending empress of the social media space, with over 200 million serfs/users (二亿用户). Our guest speaker on Wednesday 12th October will be Meg Lee, General Manager of Sina Hong Kong (screenshot of home page below) and Executive Committee member of the Hong Kong Association of Interactive Marketing (hkaim.org). 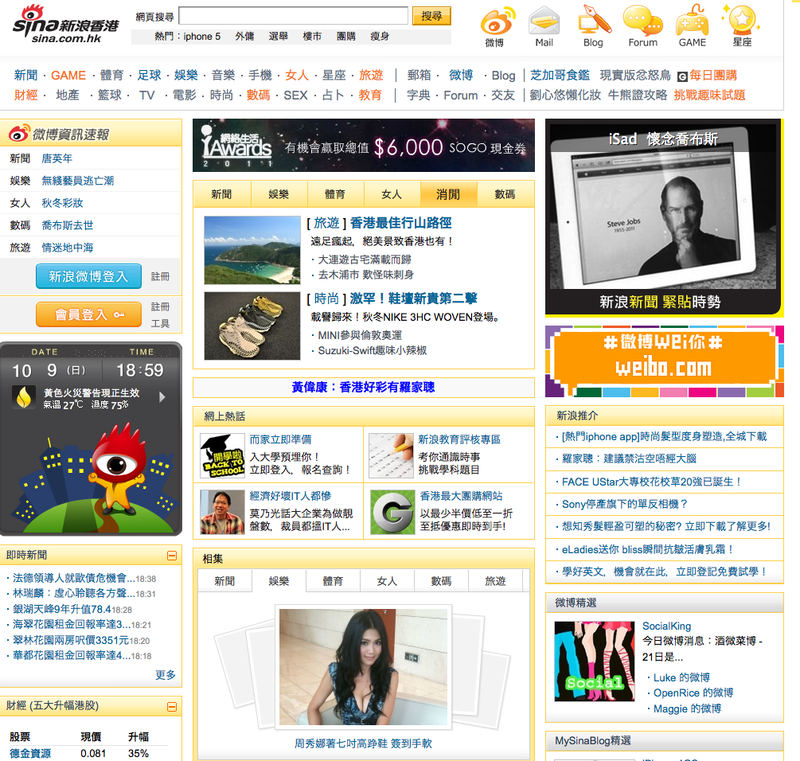 (You can find Meg at weibo.com/mugmeg). Our 52nd social mixer will take place at Bisous on Wednesday 12th October, from 6:30pm to 9:30pm, with the talk/interview starting at 7:15pm. [Bisous is located at 9th Floor, LKF Tower, 33 Wyndham Street, Lan Kwai Fong, Central, Hong Kong. Easiest way to get there is via the lifts next to the Hard Rock Cafe at the top of Lan Kwai Fong]. Let us know you're coming by signing up on Facebook, LinkedIn or this blog. This month we will donate 10% of entrance fees to poor families in Hong Kong via the Food Bank of St James Settlement.